There is no change in doctrine, however, there is an evolution in the understanding of the Gospel and in the understanding of the doctrine itself. Commenting in the heat of the moment on the Post-Synodal Apostolic Exhortation Amoris Laetitia, the Director of the Jesuit Magazine La Civilta Cattolica, Jesuit Father Antonio Spadaro, identified in Pope Francis’ document a distinctly Jesuit approach, which puts before everything the personal relation with God of every individual believer, with all the process of discernment that stems from it. In an interview with ZENIT, Father Spadaro also pointed out similarities and differences between Amoris Laetitia and Pope Wojtyla’s Familiaris Consortio and other documents of previous teaching, revealing how there is between them an essential “continuity” but, with time, there has also been an evolution of thought in the knowledge of human situations. 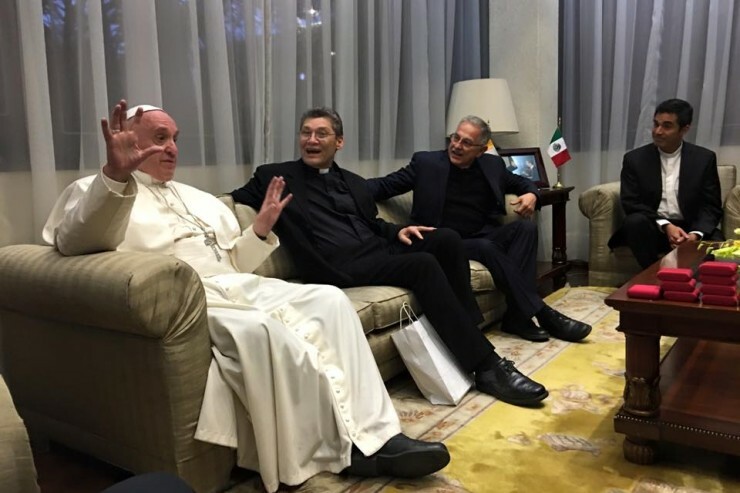 ZENIT: Father Spadaro, in the recently published Apostolic Exhortation, Pope Francis insists very much on “discernment” and on “conscience” — they are two concepts that are very dear to you, Jesuits. Father Spadaro: Certainly. This document puts at the center two fundamental concepts: the truth of the Gospel and people’s conscience, understanding them not in opposition but in profound connection. Discernment in fact is this: to discover, concretely and not in the abstract, what God wills for my life, with all my capacities and difficulties. There are consciences that know perfectly what the evangelical ideal is but, at the same time, because of their own personal limitations, have a hard time adapting themselves to it. Therefore, it is necessary to understand what the Lord wants in that situation and to value also the small steps that a person can take. ZENIT: Is what is said true, therefore, that the pastoral approach changes but not the Doctrine? Father Spadaro: It depends on what we understand as Doctrine. Doctrine is not a rock that falls from Heaven and remains immobile forever. There is certainly an evolution of the pastoral approach but, at the same time, there is an evolution in the understanding of the Gospel. The evangelical principles remain perfectly intact. The Gospel is not understood as a rock but as bread that gives nourishment. At the same time, there is an evolution of the Doctrine. There are so many cases in the history of the Church in which principles have remained firm but the understanding of the principles has led to a doctrinal evolution: we think of religious freedom, of slavery, of the death penalty, of the appreciation of other religions, of salvation, of the need to be part of the Catholic Church. Therefore, this document is part of this great process of the Church’s journey in history and of an evolution in the understanding of the Gospel. ZENIT: You spoke of “salvation.” Do you think on the part of the Pontiff and of the Synodal Fathers there was renewed attention to the subject of the welfare of souls? Father Spadaro: Yes, absolutely. At the general level, the element that seems to me that is emerging more forcecefully from this Apostolic Exhortation is the pastoral understanding of the Doctrine, by which the Doctrine has no meaning if it is not geared to the salus animarum of which the last canon of the Code of Canon Law speaks. The salvation of souls must remain the absolute and inexorable reference. ZENIT: The general feeling, nevertheless, is that this Apostolic Exhortation does not in fact put a tombstone on the debate on the family today. Are you also of this opinion? Father Spadaro: It is absolutely clear that this Apostolic Exhortation does not put stones above anything. We are before a passage in the journey that the Church undertakes, as was Familiaris Consortio at the time of Saint John Paul II, or Benedict XVI’s Sacramentum Caritatis. They are stages of a journey that generates a debate and a comparison and this certainly is also a crucial and significant moment. ZENIT: What are the main similarities and differences set off between Familiaris Consortio and Amoris Laetitia? Father Spadaro: There is both a dimension of continuity and a dimension — not so much of discontinuity but — of evolution within a thought. Held in consideration is how, in Familiaris Consortio, John Paul II spoke of the prohibition of Communion to the divorced and remarried, as a general norm, valid for all, making the exception, however, for those that live a common family life but abstain from sexual relations. Therefore, he posed a condition that, however, was not at the same level of the norm. Pope Wojtyla affirmed in fact that, in some cases, remarried divorced <persons> must continue to live together for the good of the children. For his part, Benedict XVI expressed an encouragement to live this situation. Amoris Laetitia affirms essentially that all cases cannot be enclosed within a valid general norm for all, always and in every case. Hence the discernment of which we spoke earlier: there is continuity but, has happens with Familiaris Consortio, Amoris Laetitia also moves toward a more profound dimension of human situations.